100% cotton, Dark Gray. Price includes free shipping and handling to the continental US. Please email me at abhi AT bike-urious.com if you need to get it shipped somewhere else and I'll work with you to make it happen! 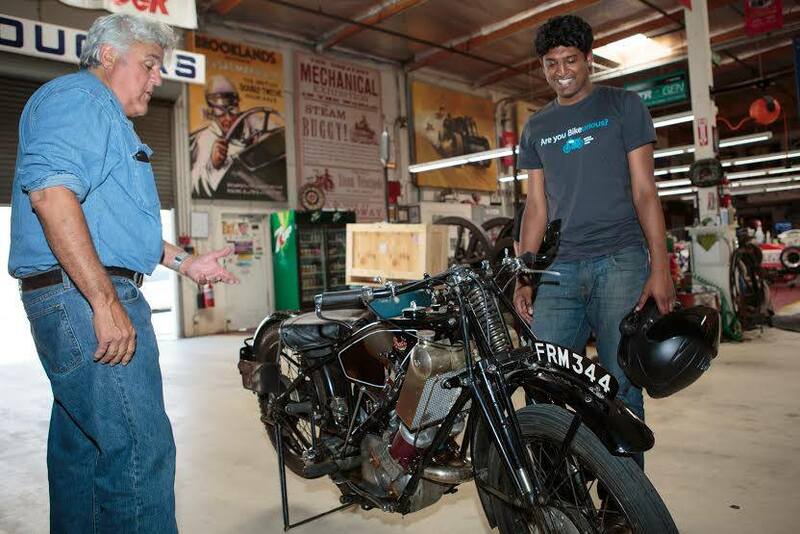 I’ve been pleasantly surprised to hear that a lot of you would like a t-shirt like the one I wore on Jay Leno’s Garage. Well, here you go!